The Alameda County Community Food Bank has been serving the Bay Area since 1985 and supplies food to over 240 food pantries. One of Bikanta’s core values is Generosity, which includes being an involved and thoughtful member of the community and city. 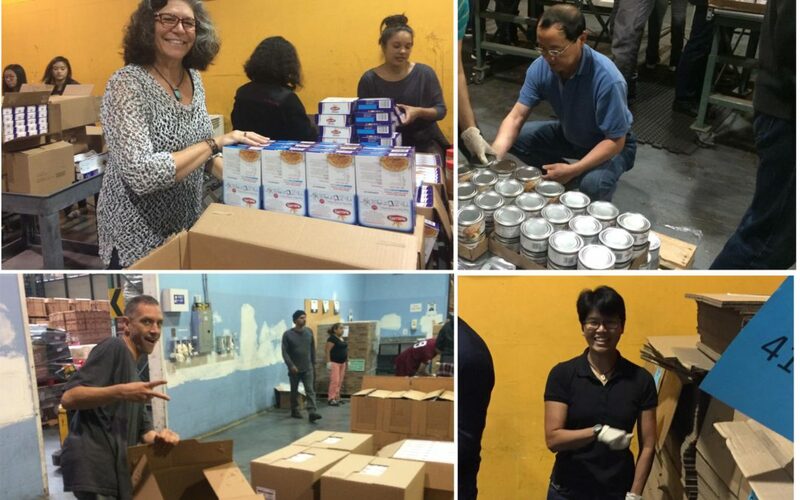 As a step to giving back, the Bikanta team went over to the San Francisco warehouse to help sort, box, and ship food to these various pantries to aid in efforts towards hunger-relief. Overall, it was an incredibly rewarding and fun activity. The day wrapped up with a bit of arts and crafts at the Terra Mia Ceramic Studio. Eating El Salvadorean food for lunch in SF! Left to right: Roger York, Li Zhuo, Min Wang, Jeanne Virca, Ambika Bumb, and Joyce Wahba.